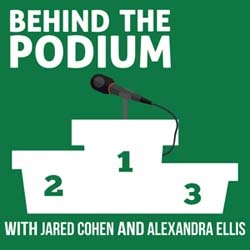 Today we go Behind the Podium (again!) with mental skills and sport performance coach Katie McKee. Katie owns her own private consulting business, Elite Mind and Performance in Southern California. She consults with individual athletes, teams, and organizations training them in sports psychology skills and techniques as well as sports performance training aimed at helping them to improve their performance and increase their self-awareness as they strive to reach their potential.